Happy Easter and the growth of spring……. As a spiritual person, believing in all teachers of all faiths, I love Easter and all it signifies: rebirth, growth, love for humanity and thankfulness. 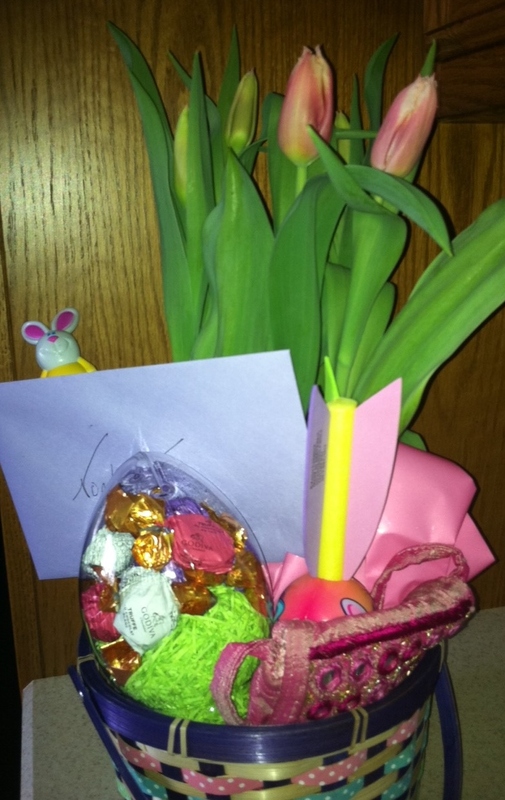 This basket for a child, includes a perennial because this signifies all that is wonderful to me about spring. I really look forward to the sprouts after the thaw, and always take some time to assess what seeds I have planted and what new growth will come this season. Career growth equals personal growth, monetary rewards and personal freedom. This season I am blessed with budding business growth and thankful to Kim Kuhteubl for the business blueprint and coaching that has enabled me to make my garden grow. This week my name links to my gardening board on pinterest. Hope you enjoy!